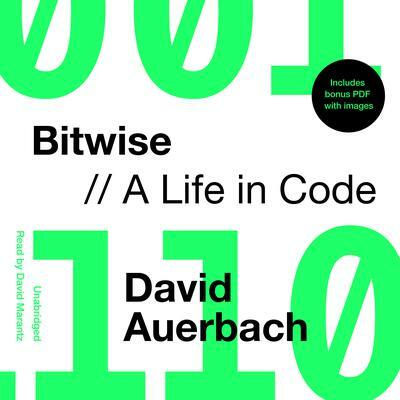 Bitwise is a wondrous ode to the computer languages and codes that captured technologist David Auerbach’s imagination. With a philoso­pher’s sense of inquiry, Auerbach recounts his childhood spent drawing ferns with the programming language Logo on the Apple IIe, his adventures in early text-based video games, his education as an engineer, and his contributions to instant messaging technology developed for Microsoft and the servers powering Google’s data stores. A lifelong student of the systems that shape our lives—from the psychiatric taxonomy of the Diagnostic and Statistical Manual to how Facebook tracks and profiles its users—Auerbach reflects on how he has experienced the algorithms that taxonomize human speech, knowledge, and behavior and that compel us to do the same. 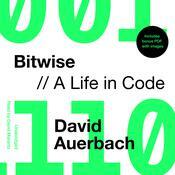 Into this exquisitely crafted, wide-ranging memoir of a life spent with code, Auerbach has woven an eye-opening and searing examination of the inescapable ways in which algorithms have both standardized and coarsened our lives. As we engineer ever more intricate technology to translate our experiences and narrow the gap that divides us from the machine, Auerbach argues, we willingly erase our nuances and our idiosyncrasies—precisely the things that make us human. David Auerbach is a National Magazine Award–nominated writer and software engineer. He previously worked for Google and Microsoft. He has contributed to the Daily Beast, Slate, the Times Literary Supplement, the Nation, n+1, Bookforum, the MIT Technology Review, and many other publications. He lives in New York.